Pool is easily one of the coolest games around. The best players are called “sharks”, if a shot’s too difficult you can use a “ladies aid” and, if your opponent screws up, you get to go “ball-in-hand”. 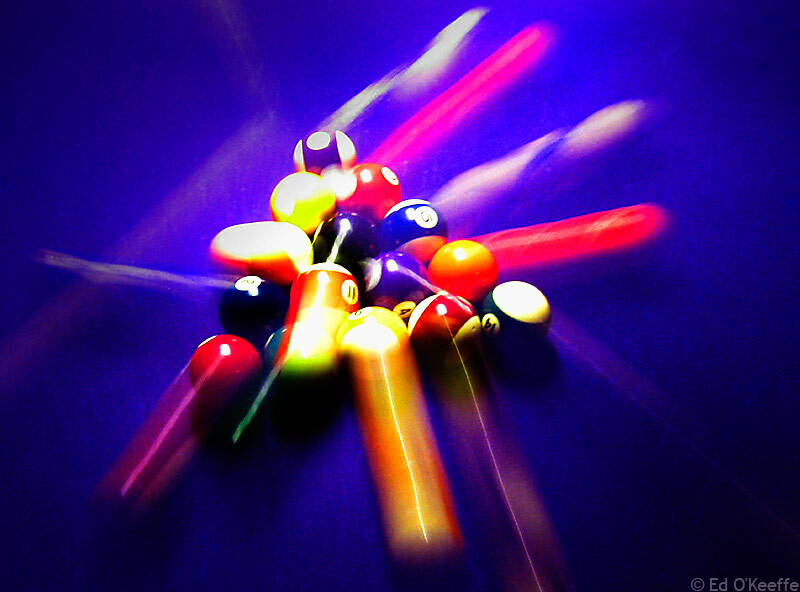 The problem with pool, as with most games of skill, is that it takes years to master. Who’s got that kind of time? Fortunately, all you really need to do is to perfect one single skill. All you need is a mighty break! The thunderous CRACK of the cue ball will draw the attention of the entire bar. The balls madly dispersing around the table top, like scattering cockroaches on a kitchen floor when the light goes on, will mesmerize the onlookers. The dull thud of ball after ball falling into pocket after pocket and the eruption of applause that will inevitably follow all serve to make the break the single most important shot of the game. It’s all about intimidation. It doesn’t really matter how you play after this moment. Once you’ve gotten into your opponent’s head with the ball explosion of a mighty break, you’ve already won. You are now the Great White, and you smell blood in the water. This entry was posted on August 21, 2010 at 4:11 pm and is filed under sports. You can follow any responses to this entry through the RSS 2.0 feed. You can leave a response, or trackback from your own site.